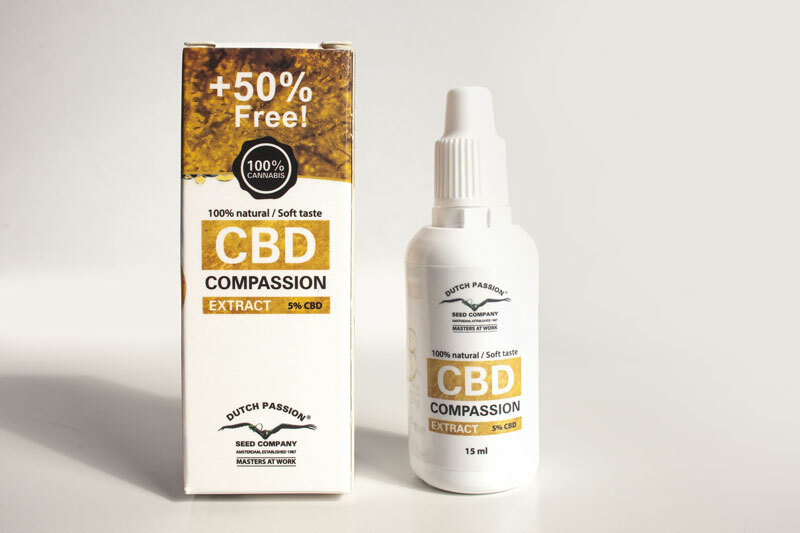 Dutch Passion CBD oil is 5% CBD (Cannabidiol) in cannabis seed oil. 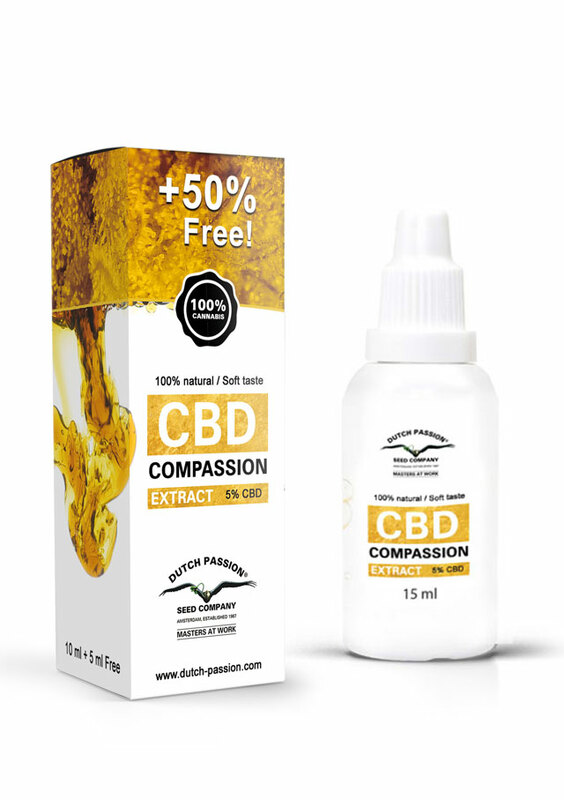 The Dutch Passion CBD oil,known as CBD Compassion Extract, is offered as a dietary supplement. 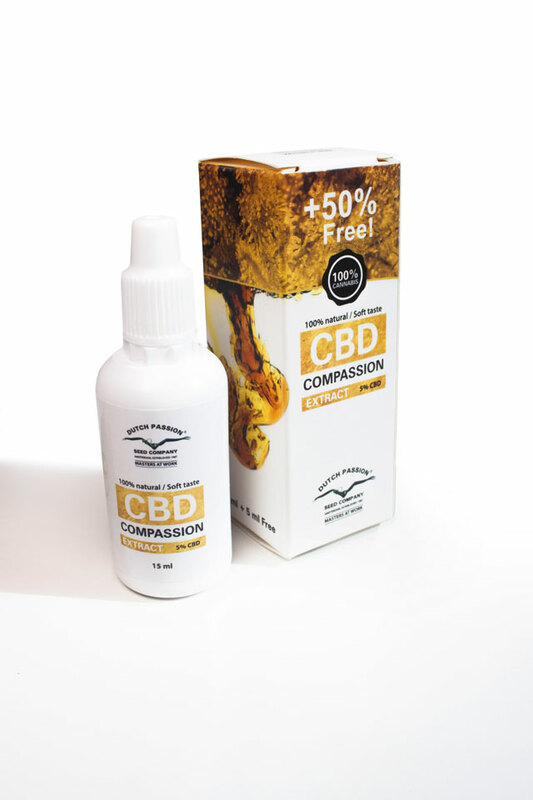 The Dutch Passion CBD oil is produced using advanced solvent-free CO2 extraction. It’s natural CBD together with the full range of terpenes and other cannabinoids such as CBC and CBG. 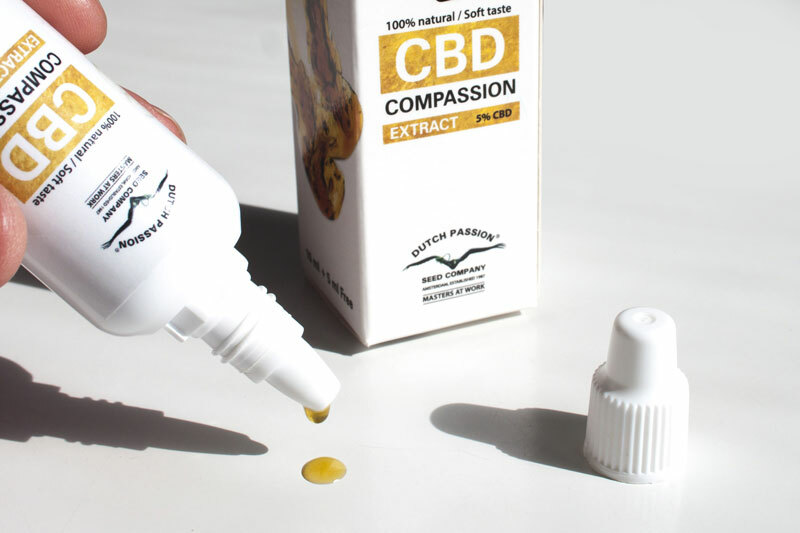 The Dutch Passion CBD Compassion Extract will not make you high because it’s a CBD oil without the psychoactive ingredients.